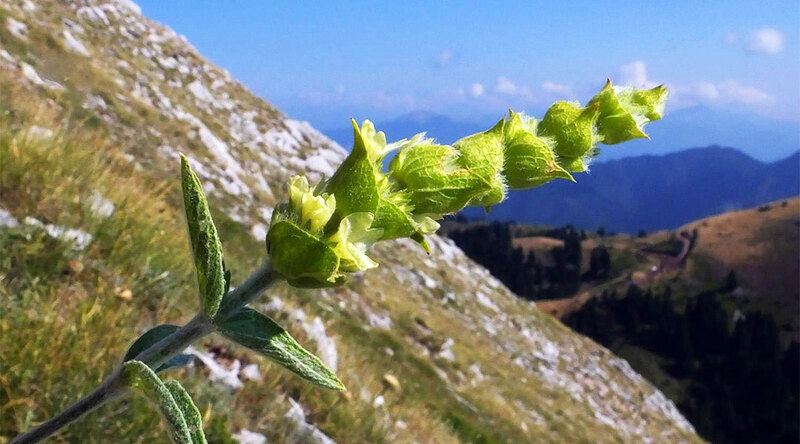 PHYSIS Wild Mountain Tea is the authentic Greek “Mountain tea” or “Teion” called in Greece. 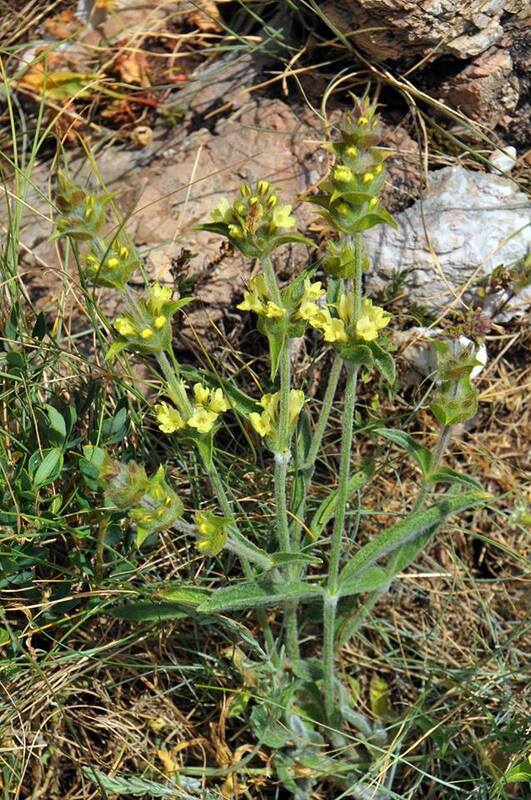 It belongs to the endemic species (Sideritis raeseri) considered among the best in the world. Name Sideritis comes from the ancient Greek word “Sideron” which means “Iron”. It was named this way because it contains large amounts of iron. Also because it has been used since ancient times to treat wounds by iron weapons in battles. 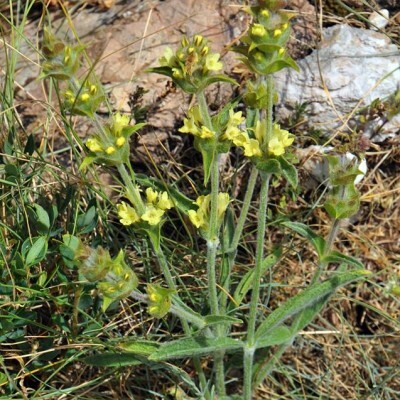 It is known in Greece for thousands of years and used as a beverage but also as a remedy for many diseases. 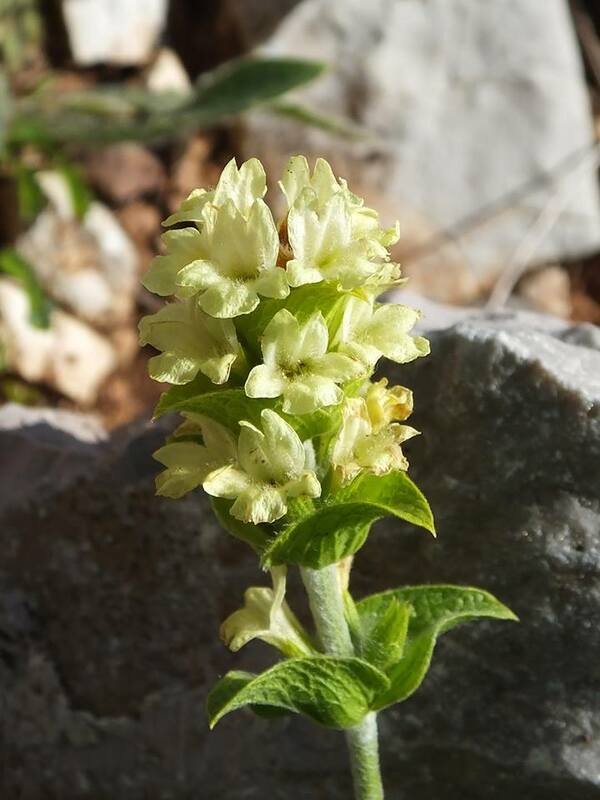 Sideritis is mentioned in ancient texts of Hippocrates, Theophrastus, Galinus ets. From this species of tea, we chose an excellent and rare variety, renowned for its incomparable aroma, taste and properties of the subspecies raeseri. 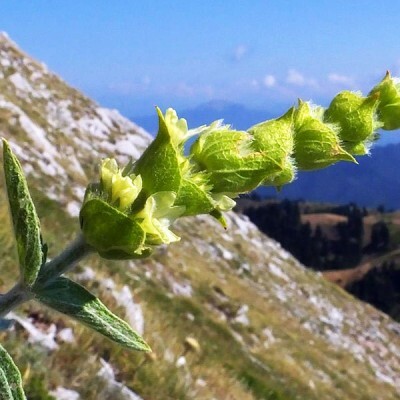 This Sideritis variety grows free in the wild and is harvested only in Central Greece, over the mountains of Pindos, famous for the excellent quality of tea that grows there. 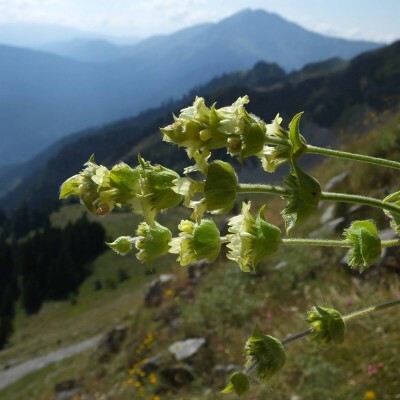 The collection of plants is done in the mountains, at an altitude of 1300-2000 meters and is a laborious and very dangerous activity, as plants grow on steep and rocky cliffs. Only very experienced local mountain villagers venture climbing the peaks of Pindos mountains to gather a few pounds from the precious plant, always under special permit from the Forestry authority. Collection is done during the Summer when plants are in full bloom and full of essential oils. Collected with care and only by hands plants are strapped on site in small bunches (bundles), for not pressed flowers and leaves. Then bunches are hung in a shady and ventilated place for several days until they dry out naturally, without using any technical means (drier) and without plants exposed to the sun for quick drying. When Tea is completely dry out, small bundles are rubbed by hand and not by mechanical means, in order to collect only flowers and plant leaves, without branches. This way final product is perfectly clean and fine, with exhalent flavor and taste. Finally, dry Mountain tea tightly packed in special packaging certified suitability for food. This ensures beautiful golden color, aroma, flavor, properties and the unsurpassed quality of our tea. PHYSIS Wild Mountain Tea comes not from cultivated plants, but from native wild organic plants, far from any urban pollution and completely free of pesticides, fertilizers and any farming care. For this reason PHYSIS Wild Mountain Tea is available in very small quantities. So very few can have the opportunity to enjoy this superior high quality tea drink in their cup! The ecological way of producing PHYSIS Wild Mountain Tea, not stops just on collection, treatment and packaging, but our company pays back to nature what takes from it. So, before packing, the crumbled tea plants passes from very fine sieve that lets pass only tiny seeds. Seeds are collected and handed out to villagers tea collectors, to scatter them buck over the mountains to enrich habitat and sprout new plants. This ensures physical sustainability, and that PHYSIS Wild Mountain Tea will keep coming to you every time. 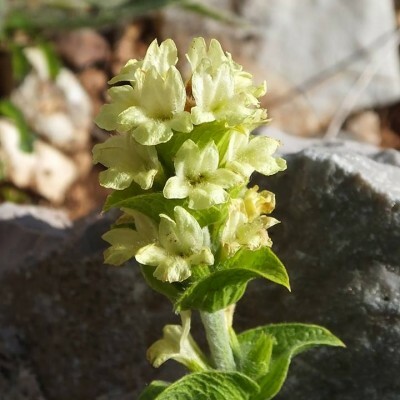 Product Description: Organic Native Wild Mountain Tea from Greece, limited production. 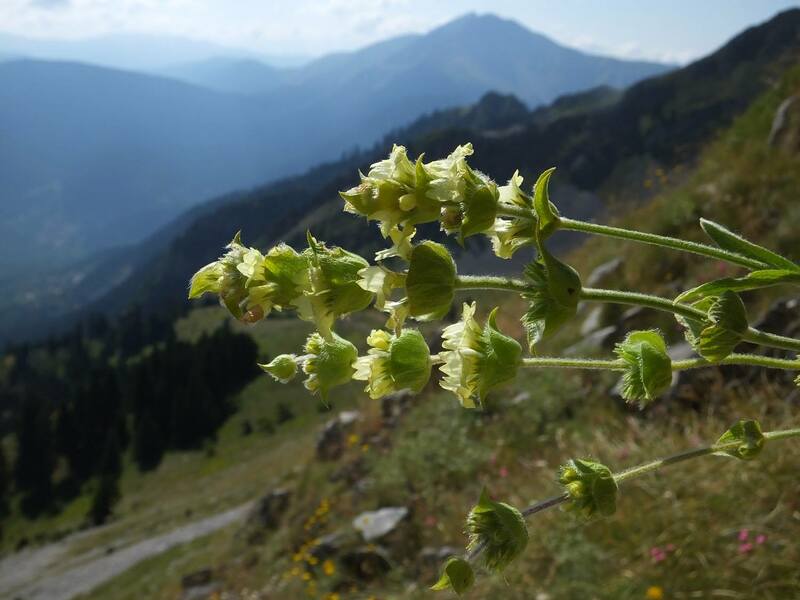 Quality attributes: Exclusive wild native Greek Mountain Tea from Pindos mountains, on altitude of 1200-2200 meters. Collected, processed and packaged by hand. Superior quality, intense peppery flavor, rich in essential oils. Expiry Date: Within 36 months after packaging. Storage: Please store in dark, dry and cool place to enjoy unchangeable excellent quality. Enjoy PHYSIS Wild Mountain Tea as hot or cold drink any time of the day. It does not contain caffeine like other teas, so you can enjoy a cup even late in the evening, before bedtime, and, in fact, you will find that it will help you sleep very calmly. For a cup, add a tablespoon of PHYSIS Wild Mountain Tea in warm water before boiling (about 90-95 ° C). Allow 4-5 minutes to release the aromas and drain on paper filter or strainer into a cup. You can optionally add some sweetener, pure honey is proposed, the other natural flavors such as citrus, orange, or apple peel and cinnamon stick. Try to mix it with other PHYSIS herbs in proportions you like and create your own beverage. Making higher dose and putting drink in fridge where you can consume within 24 -36 hours in order to maintain all the aromas and flavor. In half cup of warm water (about 90-95 ° C) add a tablespoon of PHYSIS Wild Mountain Tea and allow for 4-5 minutes. Fill a glass with ice and drain tea in. If you like, add thin slices of orange or lemon and enjoy! Heat a cup of water and before starting to boil remove from heat and pour a tablespoonful of PHYSIS Wild Mountain Tea. Add small slices of lemon peel and leave for 4-5 minutes. Strain the drink into a cup and add juice of half a freshly cut lemon and one teaspoon of pure honey and stir. Drink not very hot but warm. Repeat 4-5 times a day until sore throat is gone. Caution: Before using herbs remedies, please consult your doctor.